Players in Rising Sun can call forth and control huge monsters called Omni. The Omni are playable characters and can unleash devastating damage on forces or other effects. In this post we will cover the various Omni in the game and what their effect is. "Oni (鬼?) 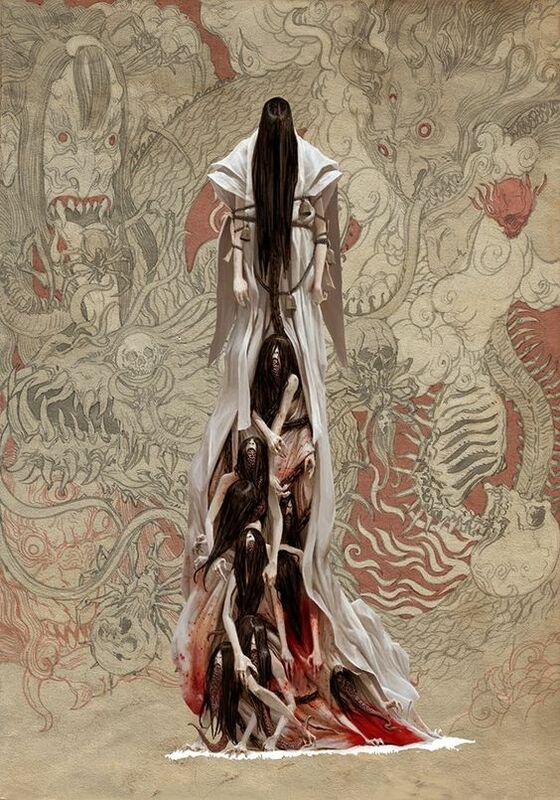 are a kind of yōkai from Japanese folklore, variously translated as demons, devils, ogres, or trolls. They are popular characters in Japanese art, literature, and theatre. Depictions of oni vary widely but usually portray them as hideous, gigantic ogre-like creatures with sharp claws, wild hair, and two long horns growing from their heads. They are humanoid for the most part, but occasionally, they are shown with unnatural features such as odd numbers of eyes or extra fingers and toes. Their skin may be any number of colors, but red and blue are particularly common." "The Oni are considered demons or devils from traditional Japanese stories. They are often described as hideous monsters, huge in size. Oni are also said to have strange features such as extra eyes, fingers and toes. They inspired such fear, that some villages still hold special ceremonies to drive the Oni away, usually in the Spring." During gameplay players can gain control of powerful monsters or Oni and use them. Each of them have special abilities and considerations. Unlike other aspects of the game where it benefits to have high honor some monster will prefer a clan that has low honor. The rules around these Oni are still a mystery to me but we are actively trying to acquire rules and descriptions of all of these creatures of terror! The Komainu or Temple Dogs were traditionally found at the entrance to Shinto shrines, warding off any evil spirits that may try and enter. They’re believed to have great strength and above all, loyalty to those they fight with. In Rising Sun, the Temple Dog is one of the many fierce creatures that may make an appearance and battle on the side of one of the warring clans. In Japanese culture, the soul or tama, is not connected to the body directly. It permeates the world around the person, interacting with nature and bringing life and vitality to them. When the soul leaves the body they become sick and die, and the soul is released to move about the universe. That is, unless they are collected by the Oni of Souls, who gains power from their energy. He is one of the menacing monsters that players can acquire and use in Rising Sun. The Oni of Skulls isn’t concerned with honor or pride, only victory on the battlefield. It is one of the playable monsters from Rising Sun that can be acquired and added to your military forces. Hate is something that can live inside all of us. It corrupts, and leads to evil deeds. The Oni of Hate is the very embodiment of that emotion. In Rising Sun, you can actually control and unleash hate on your opponents. Just make sure you’re not on the receiving end of that barrage. 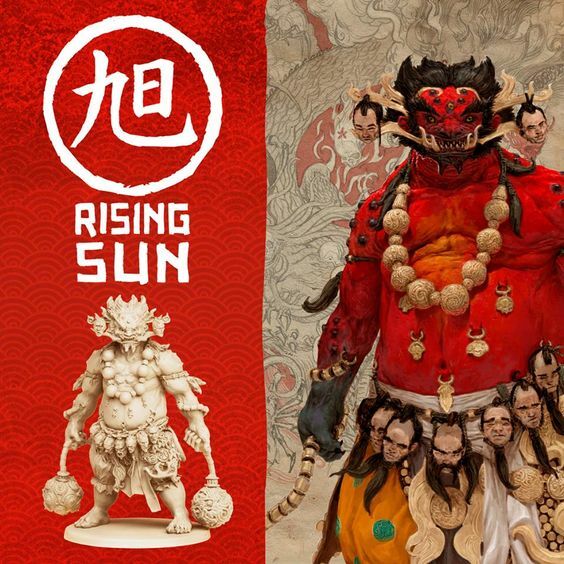 Are you a fan of Rising Sun the hot new game being launched on Kickstarter? Well we are too! Two bloggers from Toylab have joined the kickstarter and are closely following the game for news, art, reviews and more. Click on the link to go to the Rising Sun Hub where we collect all of our Rising Sun coverage.